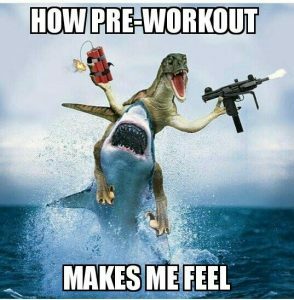 A pre-workout is some form of a consumable substance that is formatted to boost your performance during your workout, or at least get you motivated. There are a plethora to choose from, all complete with unique colors and flavors. 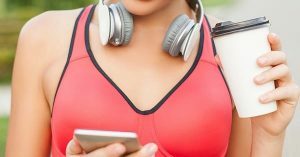 There are natural foods that will help boost energy and performance, but the term “pre-workout” typically relates to powder that you mix into water and drink 15 to 30 minutes before a workout session. What is in Pre Workout Powder? The big boost of energy that comes from a pre-workout is highly instigated by caffeine. The compounds in caffeine work by blocking the neurotransmitters for adenosine, which serves the purpose of making the body tired. Caffeine has also been found to have some effect on promoting weight loss. The amount in pre-workout differs for each brand but typically ranges between 150 and 350mg per dose. 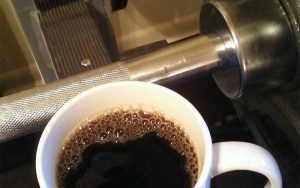 Because of this, it is a good idea to adjust your scoop of pre-workout to your desired level of caffeination. This is the substance responsible for the “tingly feeling” you may get shortly after taking a pre-workout supplement. The good news is that the tingles are relatively short-lived. Beta-Alanine is a naturally occurring amino acid that helps to delay the onset of muscle fatigue, meaning you can train at a higher intensity longer without your muscles getting tired. Having enough niacin (Vitamin B3) in your system is important for general good health. Niacin helps the dilation of blood vessels for an extra “pump” during hard workouts. It also promotes energy, potential weight loss and is proved to be beneficial for skin health, prevention of cardiovascular disease and diabetes. Niacin may also be the culprit for the warm feeling on your face after taking a pre-workout. A staple for most bodybuilders, creatine is known to hydrate muscles, increasing size and strength. There are also studies showing improved performance with shorter workouts, but less variance for endurance athletes. Creatine may also assist in muscle recovery after a hard workout session. Branch Chain Amino Acids (BCAA’s) are the building blocks for protein synthesis. They also assist in reducing the rate of protein breakdown. Increased protein synthesis and reduced breakdown means more muscles and less body fat. That sounds pretty awesome. Another positive thing about BCAA’s is that they are also available in a non-stimulant form and can be added to your drinking water any time during the day. These are the most common ingredients that make up powdered pre-workout, but each brand boasts their own unique formula. Other key ingredients may include L-Arginine, Citrulline, Agmatine Sulfate, Theanine, Glycerol and Taurine to name a few. The important thing about deciding on a pre-workout is determining what your body is going to react to the best. Sometimes too much of one ingredient can cause undesirable effects. For example, if you are sensitive to beta-alanine, you will find that having a full serving of a pre-workout that is high in the substance will result in an uncomfortable level of tingling throughout the body. Too much caffeine may cause jitters. 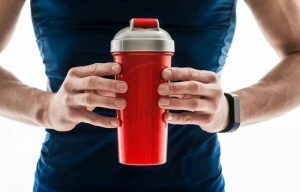 We recommend you start your pre-workout supplementation by using only half the recommended dose for the first workout or two, in order to evaluate how your body responds.